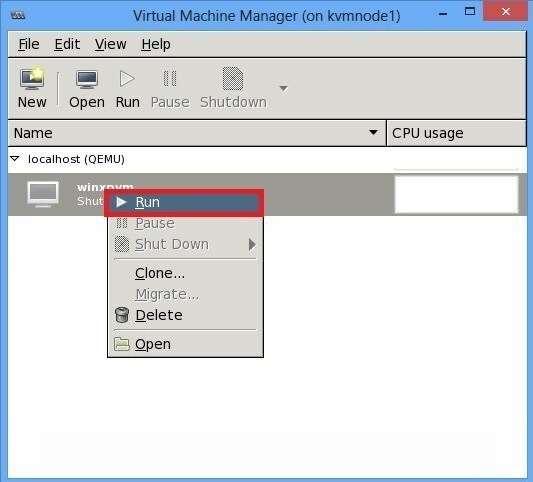 Start virt-manager by running the virt-manager command,click New to create a new guest.In the Virtual Machine Name window, enter a name for your guest. 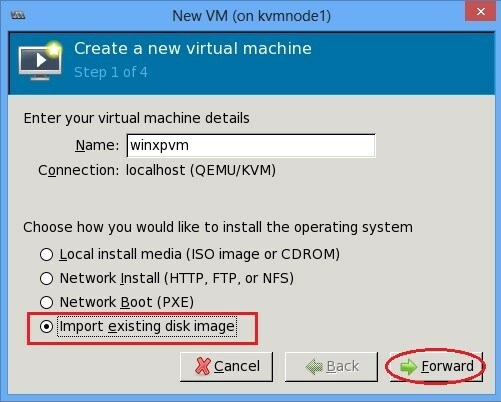 In this example, the virtual machine is named winxpvm and also select the “import existing disk image“. 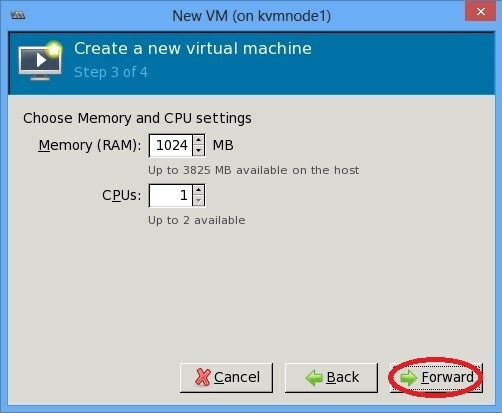 Click Forward. 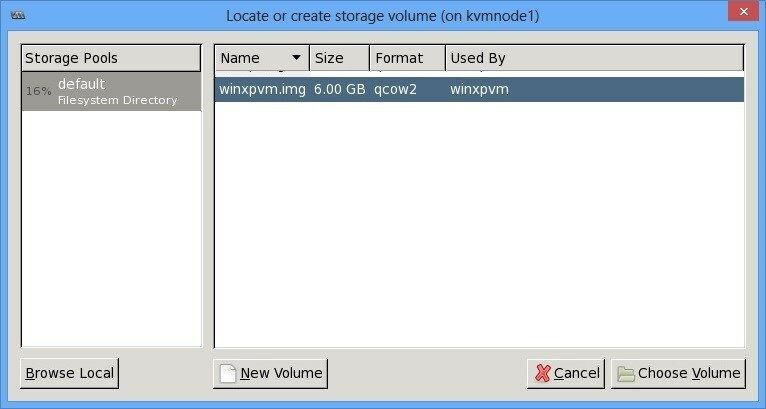 In the Summary window, verify the settings for creating the guest. 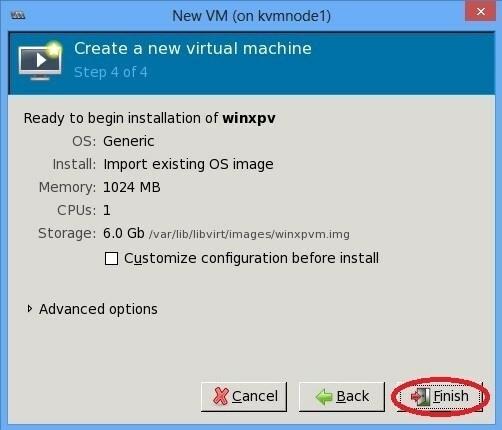 When you are satisfied, click Finish. 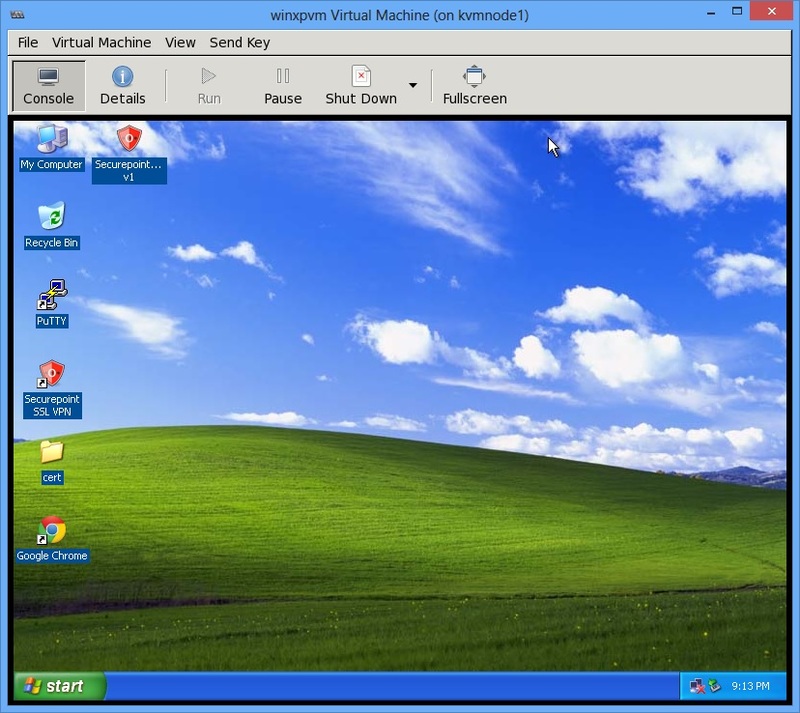 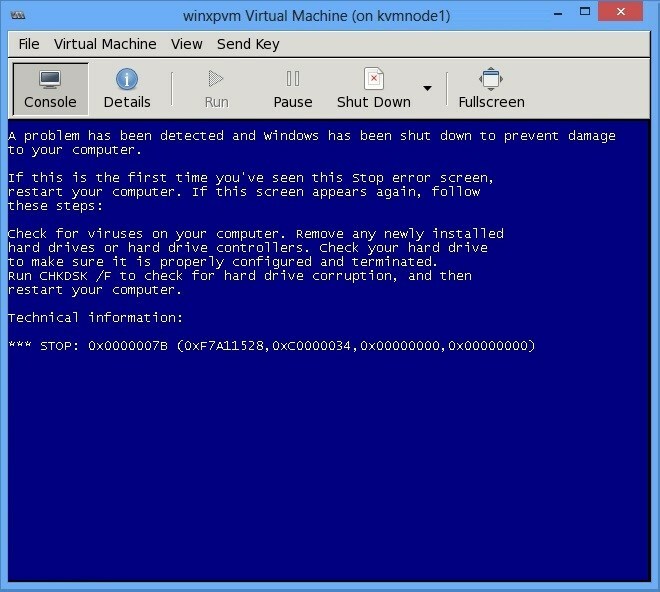 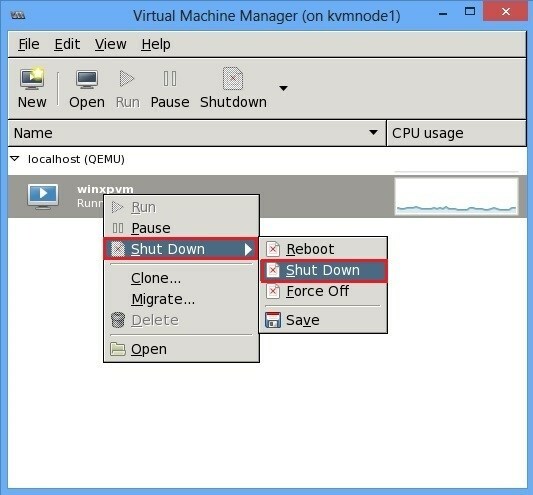 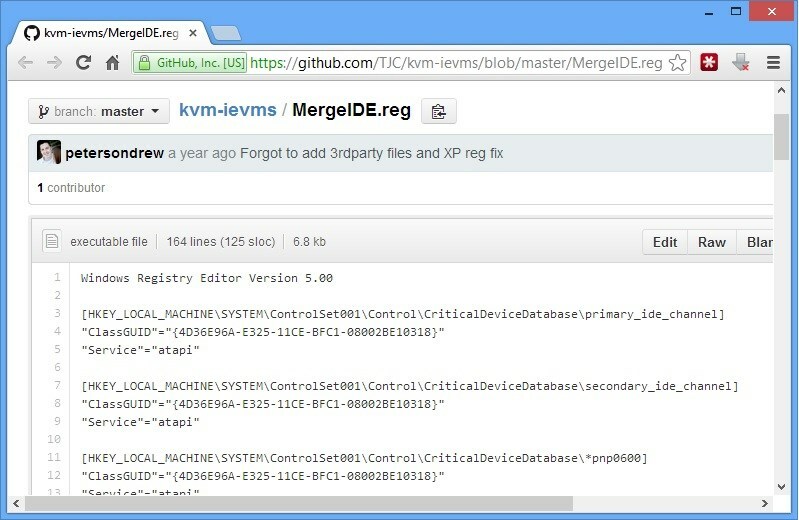 Note: You must not use virt-win-reg with the –merge option on running virtual machines. 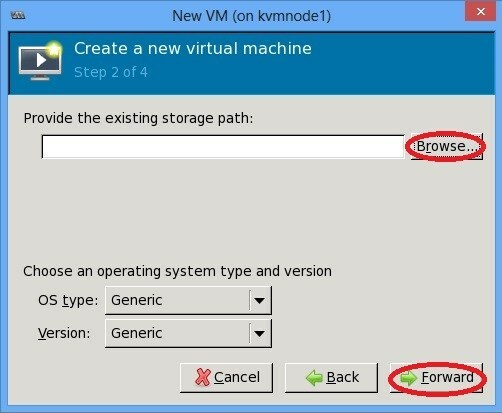 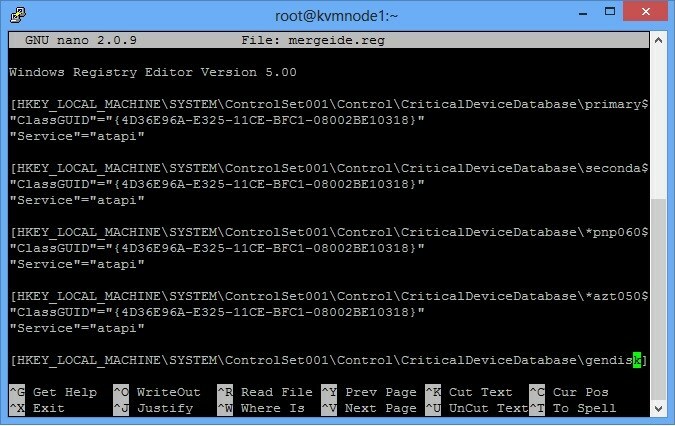 If you do this, you will get irreversible disk corruption in the VM.